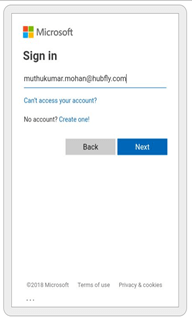 This article demonstrates how to authenticate with SharePoint & Office 365 from ionic 3 mobile app using native In App Browser plugin. This is the base article for start SharePoint from ionic 3 mobile app. Ionic is an open source and popular cross-platform mobile app framework, that helps to develop or build hybrid mobile apps quicklyly and easily. It saves a lot of time and money. 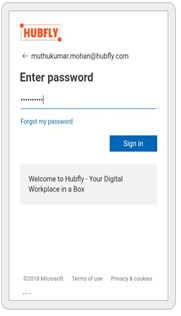 This article demonstrates how to authenticate with SharePoint & Office 365 from Ionic 3 mobile app using a native In-App Browser plugin. This is the base article for starting SharePoint from Ionic 3 mobile apps. The following tools and requirements should be in place before starting this article. Once we have installed Node.js, we can install other tools on the terminal or command line. Run the following commands step by step. Once the installation is finished, let’s start creating an Ionic 3 app. This command will take a few minutes because it installs all the dependencies and modules to a project. Now, change the location to TestApp. Once you've changed the location to TestApp, add Android platform to your app. Now, run the project using the following commands. Make sure you have connected device and settings and sdk tools has been set. In App Browser is a Cordova plugin that allows you to open a browser in your Cordova app or in our case Ionic app. This in app Browser can be used to open external URLs just like any normal web browser from your app. Now we have the ionic app so we can move forward. 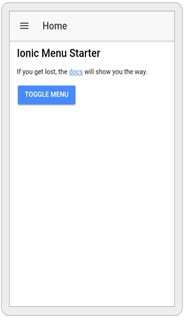 First install an in app browser plugin to our ionic app using the following steps. Second, we have used splash screen plugin for showing the loading part. If you don’t have it installed refer to the following steps. If you have already please skip this installation part. Now we have successfully installed plugins so we need to add In App Browser Object and Splash Screen Object to our app module file. //here importing one lines for access In App Browser plugin to our app. Now it’s time to integrate with the app component part in our app. //here we create iab browser for login page. //here we have split our requiring part one. //here we have split our requiring part two. // Authentication Code stored in local for future purpose. // It means get access token and refresh token for sharepoint. this.platform.exitApp(); //This line is used for close a app. In case not logged in. For more reference, I have added full source code as attachments. For further details visit official website. In this article, I discussed about how to authenticate SharePoint & Office 365 from ionic 3 mobile app using native In App Browser plugin.